Technical Issue There was an error writing the template file (read-only?). Discussion in 'Support' started by pedro henrique, Feb 12, 2019. There was an error writing the template file (read-only?). I went to Windows Explorer to see if my jampconfig.cfg was set to read-only, but it was not. Neither all of the folders in which it's in up to d:/ drive. Please, any clues of what should I do? 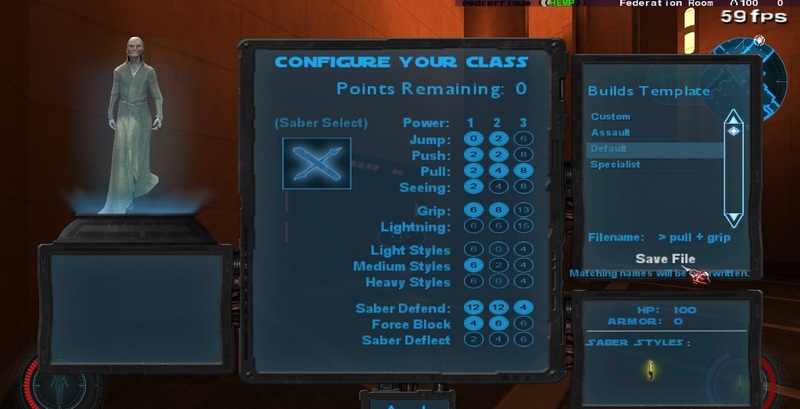 Class configs are stored in "Jedi Academy\GameData\MBII\forcecfg". Yes, you are right. But I tried there too and no sucess... What now??? "No success"? What do you mean by "No success"? 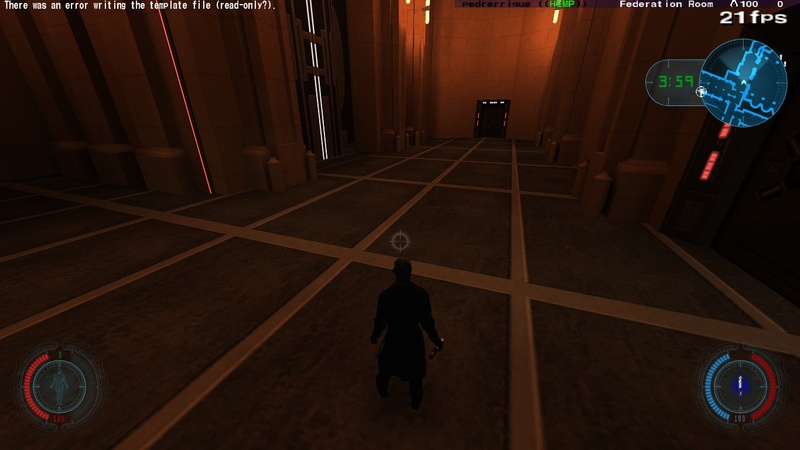 Right-click on "Jedi Academy\GameData\MBII\forcecfg" => Properties => Security => set Full control for yourself and apply it to all subfolders. Also, try disabling an anti-virus. Oh wait, I didn't realize it was on your screen all the time. You can't use characters in a config's name those are invalid for your filesystem! And '>' is not accepted in filenames under Windows. So pick another name, without bad chars. That`s it! You are right! It was very stupid of me to try to name a file with invalid characters. Problem solved! Thank you and sorry!